Brooklyn, NY- A chicken pox outbreak that has swept through Williamsburg’s Jewish community has prompted the New York City Department of Health and Mental Hygiene to issue an alert to physicians throughout the city, warning about the possible spread of the highly contagious varicella virus. 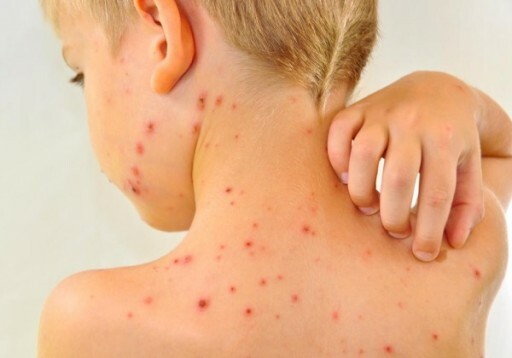 75 cases of chicken pox have been reported in Williamsburg since the beginning of March, all in children aged 10 and under, with a median age of three years in the reported cases. 72 percent of the cases occurred in children who were not immunized at all against chicken pox, while 14 percent had begun, but not completed, the two part vaccine series. The first dose of the varicella immunization is typically given at age 12 to 15 months, with a follow up booster at age four to complete the series. Two doses of the vaccine are recommended for all children and adults who do not have immunity to the virus, which can be determined via a blood test. Christopher Miller, press secretary for the city’s Department of Health, said that the reported cases included both children who had been following the recommended vaccine schedule but hadn’t been immunized against varicella, as well as those who were behind on other immunizations as well. Vaccinations have become a highly charged issue with some parents steadfastly refusing to immunize their children. As previously reported on VIN News(http://goo.gl/9TVwX10), a growing movement of parents who ask their doctors to delay vaccinations has been met with concern as unvaccinated or under-vaccinated children expose their peers to infectious diseases. As of September 1, 2015, New York State requires all children to be up to date on their immunizations before starting school. The Department of Health urged physicians to make sure that all of their staff and patients have received the chickenpox vaccine which is 98 percent effective at preventing the disease which can cause pneumonia, bacterial infection, meningitis, encephalitis, birth defects and death. Miller said that the outbreak has, so far, been confined to Williamsburg. “No other chickenpox outbreaks have been reported in NYC recently,” Miller told VIN News. The Department of Health has been reaching out to the Williamsburg community, distributing pamphlets written in both English and Yiddish at a Hatzolah health fair this past Sunday. Letters warning about the outbreak are being distributed to the community through schools and Yeled V’Yalda, a Brooklyn-based social services agency for children. Rabbi David Niederman of the United Jewish Organizations of Williamsburg said that community leaders are working on containing the outbreak and have scheduled a meeting on Wednesday with health care providers, school officials and representatives of the Department of Health. “Washington - Republican presidential candidate Donald Trump is scheduled to meet on Wednesday with former Secretary of State Henry Kissinger, the Washington Post...” Washington - Donald Trump To Meet With Henry Kissinger: Washington Post	“Hopkinsville, KY - Hillary Clinton says it's "time people stopped listening to Republican propaganda." The remark was pushback from the likely Democratic presidential...” Hopkinsville, KY - Clinton: People Should Stop Listening To GOP "Propaganda"
Yeah, what I am understanding is that even when done correctly the vaccine has a 1 in 6 failure to protect. That is a shame. Considering that we really need to trust this vaccine because this is a sickness that many have had in childhood with minimal effects yet gained long term immunity. Contrast that with a vaccine with a failure rate and the risks if the immunity is not really there and disease strikes during pregnancy. Many parents fear immunizing their children with the MMR vaccine due to fear of autism which is commonly given together with the varicella vaccine. Studies show there's no correlation to autism. But I was wondering if anyone knows of families who don't vaccinate and there's still autism? What's the public's take? The new square ruv is opposed to this vaccine. Why is that? I urge everyone to go and see the documentary "vaxxed" about the whistleblower at the CDC who exposed the cover up of data that showed a causal link between the MMR vaccine and Autism. The MMR vaccine is now given as MMRV with the V standing for Varicella. I also urge everyone to listen for themselves to the secret recordings of Dr William Thompson - the CDC whistleblower - and make your own judgment. The recordings can be found at Fearlessparent.com. They are even more damning then the documentary. It is now clear that there has been fraud and coverup at the CDC with regards to vaccine safety studies and that routine vaccination for minor childhood illnesses such as Chicken Pox is not a good idea. In case you have not noticed there has been an exponential rise in Neuro Developmental disorders such as Regressive Autism, ADHD, Anxiety and Depression over the last 20 or so years. Many independent scientists and medical doctors have hypothesized that this is connected to the vaccine regimen which changed dramatically beginning in the early 90s. Is the ruv also a medical doctor? Dr. Meyer Eisenstein, A"H, who ran a successful pediatric practice in the Midwest had no autism and no asthma amongst his patients because as a general rule he did not vaccinate his patients! #5, the Rav did not go to medical school, or college or high school. Not sure why anyone would ask him a medical question. He has done a really good job of getting tax dollars to pay actual doctors at Refuah. Maybe ask them the medical questions. #6, that doctor was responsible for numerous babies dying in home births. He lied and stole money by using unproven, dangerous drugs on healthy children. If you are a parent please read more about this quack before you believe anything he has to say. Very irresponsible post you made. Clairvoyant and would rather excommunicate than vaccinate. Yes, people who were vaccinated have become autistic. Do you know the dangers of a pregnant woman and the chicken pox virus? It is not pretty! Brilliant medical expert, but you, who are only here to criticize, inflame, should absolutely NOT heed his advice! If you are going to take the time to watch "vaxxed," take the time to read the autism research and the replies to vaxxed by the scientific community. Relying upon "whistleblowers" as your only source of information is dangerous: it's a highly biased viewpoint. You can hypothesize all you want. Time after time, research has shown no causative link between vaccinations and autism. To imagine a conspiracy so wide as to encompass virtually the entire public heath and many of the pediatric practitioners beggars the imagination: these are people who WANT to save lives! On the other hand, we KNOW that vaccinations reduce the rate of illness: that's not really in doubt. It is nigh unto criminal that we, especially in the frum community, have people coming down with dangerous diseases that are easily preventable. It is embarrassing and a hillul haShem that we are the epicenter of recent outbreaks of hepatitis A, measles, mumps, chicken pox, etc. There is so much folklore in this discussion. In order for a causal relationship to be determined, the research must be able to do more than throw around numbers of correlation. There can be many factors that explain the numbers, and the idea that vaccines cause any of these dreaded conditions is just a hypothesis. I have read these reports and discussions for years, and I only walk away with the recognition that we know nothing. It seems clear that the absence of vaccines is correlated with an outbreak of the disease. That is the strongest correlation in this entire discussion. Should that lead to a conclusion that the vaccine MUST be given? Maybe, but maybe not. At the end of the day, there is nary a Rov or Rosh Yeshiva that possesses the range of knowledge needed to make a definitive statement. With all respect they otherwise deserve, I do not care what their opinion is about this subject. “ There is so much folklore in this discussion. In order for a causal relationship to be determined, the research must be able to do more than throw around numbers of correlation. There can be many factors that explain the numbers, and the idea that vaccines cause any of these dreaded conditions is just a hypothesis. I have read these reports and discussions for years, and I only walk away with the recognition that we know nothing. Thats quite ok...u need not care, but to each....his own. “ If you are going to take the time to watch "vaxxed," take the time to read the autism research and the replies to vaxxed by the scientific community. Relying upon "whistleblowers" as your only source of information is dangerous: it's a highly biased viewpoint. The whistleblower - Dr. William Thompson - is the lead CDC scientist who coauthored the 2004 study that has been used as the basis for all the propaganda that MMR vaccine is safe and does not cause Autism. Now he is saying that he was pressured by higher ups at the CDC to omit crucial data sets that did indeed show a causal link between MMR vaccination at 18 months of age and Autism versus 36 Months of age. Dr. Thompson also stated categorically that the data showed that Thimerosal definitely caused tics and that therefore there was biological plausibility that it could cause autism. Although Thimerosal has been removed from most childhood vaccines, it is still in influenza multi-dose vial vaccines which are given to children and pregnant women. Dr Thompson has stated that the data show that the thimerosol in the influenza vaccine given to pregnant women can cause tics in the child. Dr. Thompson has also stated that the CDC is afraid to even study the Autism Vaccine link and has set Autism research behind by 10 years as a result of this deficient 2004 report. Other researchers have posited immune response to other vaccine ingredients which could trigger problems. This is just a bi product of an uneducated parent body. Williamsburg and other communities have been robbed of education. As a result they rely on quack doctors and untrained rebbe's to make health decisions. People with even the most basic educations understand the need to ask professionals (not whistleblowers and rebbes's) professional questions. If you have a question about immunization talk to your child's pediatrician about it, not a rebbe, Ask your rebbe if your pots is kosher or not - don't ask him for medical advice. Asking your garbage man if your tax return is correct is a good way to go to prison. Asking not medical professionals for medical advice is a good way to go to funerals. Great, so what's next? Smallpox, Rubella, Polio? Come on it's 2016, not the dark ages. Dr Thompson - the CDC whistleblower - has given over 100,000 pages of documentation to congress. Representative Bill Posey has requested that congress hold hearings on this matter. As far as "conspiracies", Galileo was among the famous conspiracy theorists who posited that the earth revolved around the sun rather then the sun revolving around the earth. He was almost burned at the stake for this "conspiratorial" and "heretical" view. Many people who work in the Federal government on issues related to vaccine safety and drug approval have conflicts of interest that are highly reminiscent of the types of conflict of interest that Preet Bahrara is currently putting people into jail for in New York state. It is difficult for many people even if they are highly educated to think outside the box and challenge scientific orthodoxy and "consensus" views. It is even more difficult to do so when the consensus has a large propaganda machine behind it. Most of what you read about vaccine safety is what the government, media, and pharmaceutical industry want you to read. You are actually doing a good job at parroting their messaging and talking points. On behalf of Merck, I thank you. Oy vey, we need a national yom tefilah, to save us from ChickenPox. Smallpox has been eliminated and the smallpox vaccination is no longer given. Polio has nearly been eliminated except in a few countries like Pakistan and Afghanistan and countries that allow unvaccinated people from those countries to come in. Mumps and Chicken Pox are not serious diseases in children and may actually prime the immune system in beneficial ways. Rubella is also not serious for children and is mainly a threat to the unborn child of a pregnant woman who has not been vaccinated. Measles is also not a serious illness for most kids who get it although it can be serious for some. Autism, ADHD, and autoimmune disease are serious problems and if they are indeed being triggered by the current immunization regimen that is a big problem. what about shingles? I hear that many adults in Brooklyn have come down with that as well. #24, you have access to everything I do. It's all over the Internet. The guy was a flake, s phony and a con. He was found liable repeatedly in malpractice suits and he was selling unauthorized treatments to gullible people at $6000 a pop. Btw, despite the name, he was not a Heimishe Yid from the way he looked. He is dead now, at the ripe age of 69, and hopefully his mistaken ideas will go with him. same reason the reba still holds that down syndrome kids should be sent to institutions and not raised by his/ her family even if that family is capable of doing so. A very old fashioned narrow mind that believes part of being jewish is to never adapt with the times even if it doesn't clash with the torah. The man is a tzadik who sits a whole day listening to yiddisha tzarous. But in many ways very narrow minded. Anyone, regardless of his/her education and training, is entitled to an opinion. But there is a huge difference. My anonymous opinion does not command anyone follow it. The opinions of persons of stature do. To each - his own. But to people of notoriety, their personal opinions that are not guidance based on their expertise must be kept personal, not shared with the public. Not all Kids with ADHD are "Jumpy". There are different subtypes of ADHD. The CDC wants people to believe that the huge increases in diagnoses of various neuro developmental problems such as ADHD and ASD are due in part to better diagnostics. This would tend to obfuscate the vaccine brain damage link. However if that were the case we should see a corresponding increase in adults with these conditions. We don't. Therefore the only conclusion one can draw is that there is an environmental factor at work. Maybe it is all from vaccines maybe partially from vaccines or maybe not at all. I do know for certain that there are frum parents in our frum community who will swear that their children were normal prior to vaccination and became autistic after their vaccination. I also know that a similar story is told by many parents worldwide. The Vaccination industry defenders will dismiss these stories as anecdotal, and temporal associations that are not backed up by epidemiology. However we now have the main study being revealed to have been falsified by Dr Thompson. We also now know that the other studies conducted by the CDC were contracted out to the fugitive Dr Thorsen from Denmark. It is quack science to say that fewer unvaccinated kids have asthma. It is incredibly difficult to set up a double-blind study on such things, but there was one in Germany a few years back. It concluded that the major difference in health outcomes between unvaccinated and vaccinated kids was that the unvaxxed had higher numbers of, wait for it, cases of the diseases for which they were not vaccinated. Medical studies clearly show no differences in autism rates or asthma rates in the two groups. Read valid medical and scientific studies for your information, not the quackery that is rampant on the Internet. The only sites that claim lower asthma rates in the unvaccinated are anti-science, anti-vax sites. Not a single double-blind, valid scientific study among them but internet surveys (not scientifically valid) or papers written by homeopathic practitioners (quackery). If you choose to get your medical advice and risk the health of your children from someone with no medical knowledge, best of luck to you. There has been an undisputed rise in the numbers of children with Diabetes and Asthma over the last 20 or so years. Several studies out of Canada demonstrated a correlation to vaccines. It is not quack science to ask questions,raise suspicions, and develop and test a hypothesis. The best the government can say is that vaccines are safe for the overwhelming majority and serious side effects are rare and the diseases they prevent are far worse then any potential side effects. They can not say who will or will not suffer a serious adverse reaction. They also can not say who may or may not have a genetic predisposition to suffering a serious adverse reaction to a vaccine. They also have not and apparently will not do the kinds of scientific and safety studies to flesh out this kind of information. Instead they have exempted Vaccine manufacturers from product liability and not required the same kinds of safety studies as those required of all other Pharmaceuticals. In addition organizations such ALEC-American Legislative Executive Council have pushed state legislatures to make vaccines mandatory and remove religious exemptions.Why do "They" want to take away "Your" Freedom of choice???? Find me 1 vaccine that has been tested with a TRUE placebo 2x blind study? 1- Stupidity is contagious; 2- There is no cure for stupid. Japan did not have mandatory vaccines (due to contaminated batches) and they have higher rates of autism. For vaccines festive there has to be vaccination rates of 85%. This is called herd immunity. WillyB had 72%. “ Find me 1 vaccine that has been tested with a TRUE placebo 2x blind study? In WillyB the pediatricians will not accept patients if the parents refuse to vaccinate as they put EVERY child, pregnant woman (and immunosuppressed) they come in contact with at risk.